“Always count your blessings.”--- A famous saying that all of us should live by. By doing so, it will let us know how fortunate we are and how much our God loves us! After counting our blessings, that’s the time we should start to share. Sharing and giving to our less fortunate brothers is another way of thanking God for the abundant blessings He’s given and will be giving to us. It doesn’t matter how much amount you can give, as long as you have the heart and sincerity in giving, it matters more than anything else. 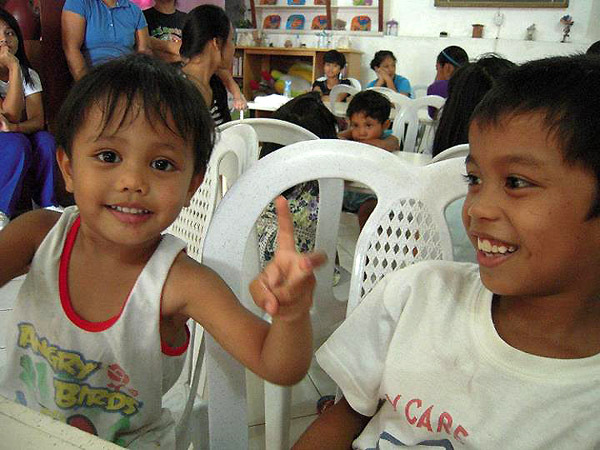 In connection to that, as me and my boyfriend, Mike, will celebrate our anniversary, we decided instead of having the usual dating or going out of town, we opted to share our blessings and to do a small charity work in a local orphanage and home for the aged. As soon as we finished inquiring and visiting the sites, I started a text brigade to our family, friends and colleagues asking for their help to the said project. As I predicted, most of the people I texted were all supportive and generous enough to help us. And then, one by one people are starting to pledge what are the things they can give. 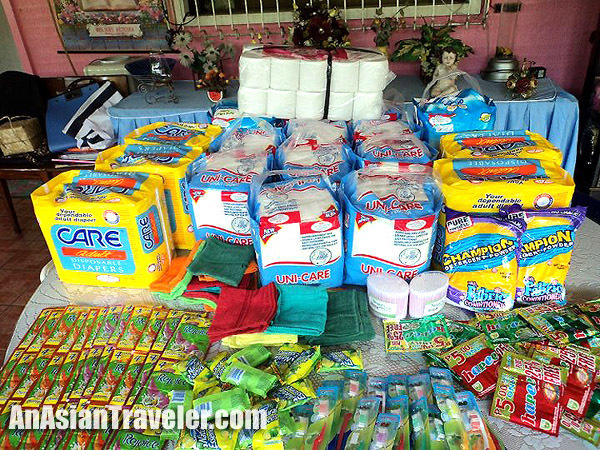 After gathering all the things that we needed for the charity work, I called the orphanage and home for the aged to schedule a date when we can go there. And we agreed to do it on May 17, 2012! Yeeeeeyy!!! 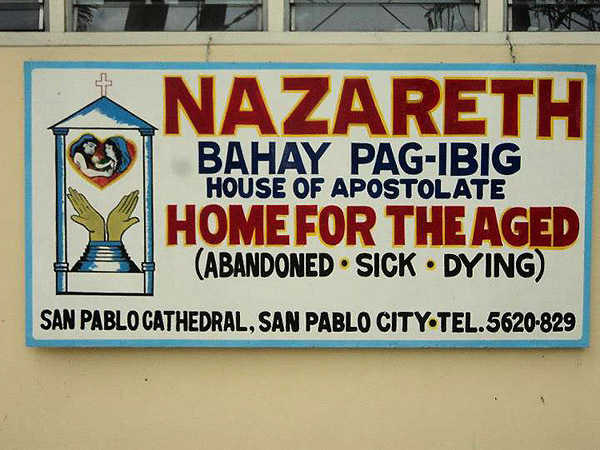 Our first stop is at the NAZARETH: Bahay Pag-ibig Home for the aged. 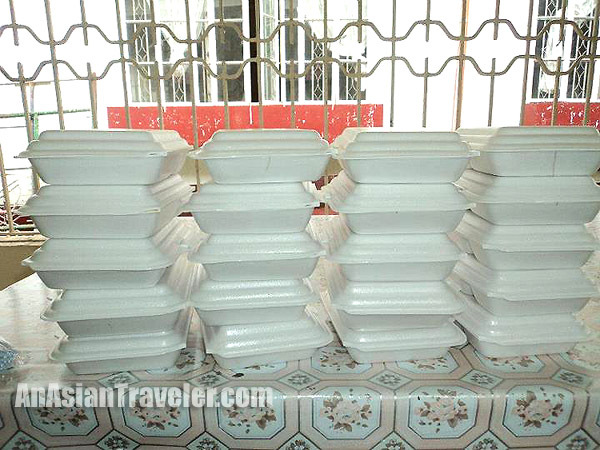 It is located beside the San Pablo Cathedral, San Pablo City. 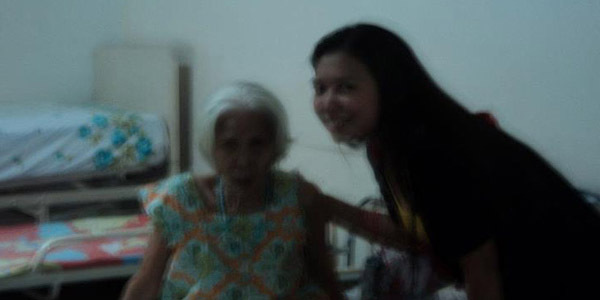 They are a non-government organization which accommodates abandoned elders. Presently, they have 17 lolos and lolas. They told me that like any other charitable institutions, donations come only seasonally. So, we thought that it is more practical to give them their personal needs. 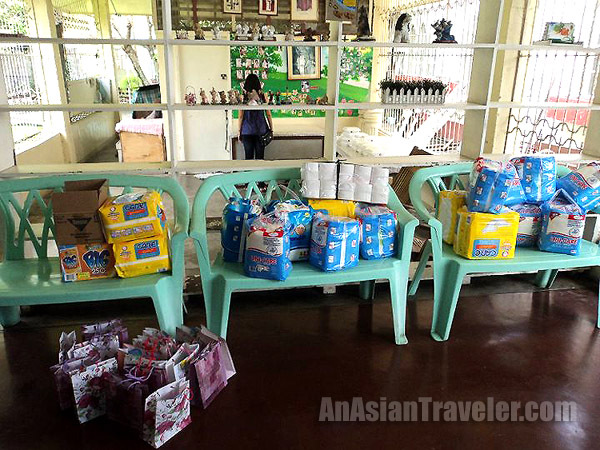 We gave them diapers, toiletries, medicines and prepared some snacks for them. Because me and Mike are both nurses, our fiends in the hospital volunteered to go with us and helped us even though the sun was scorching hot that day. Thanks guys!!!! Deeply appreciated. With groovy lolo and the lolas. 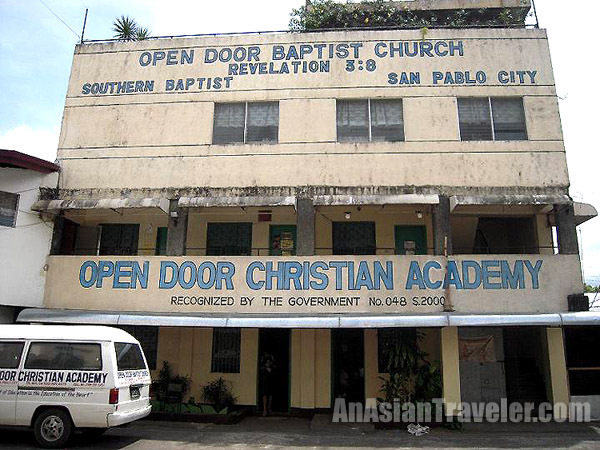 Our next stop is at the Open Door Christian Orphanage located at Fule Sahagun St., San Pablo, City. It was founded in the year 2000 with the vision to reach out to the orphaned, abandoned, abused and destitute children. They have 27kids on their custody right now. 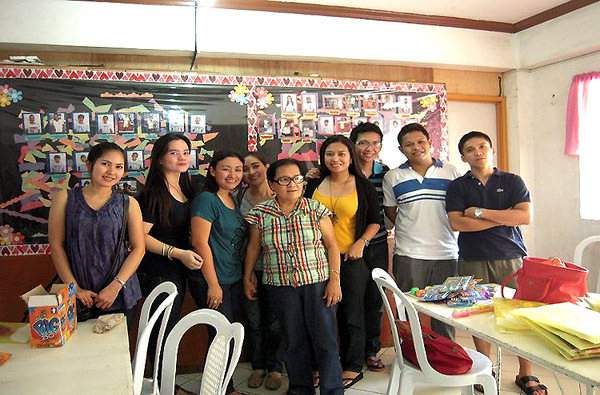 As for the kids, because the upcoming school year is near, we prepared school materials for them. 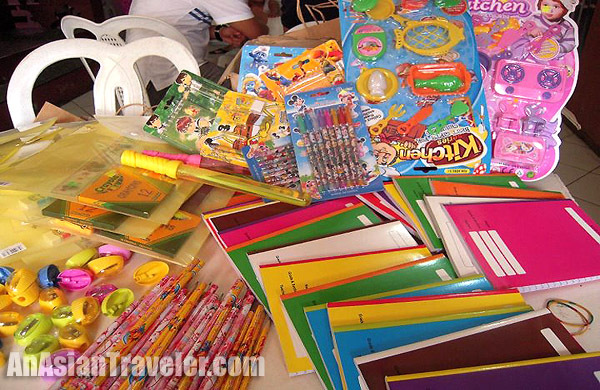 Notebooks, pencils, crayons, erasers, sharpeners, rulers, are some of the items found in their loot bags. 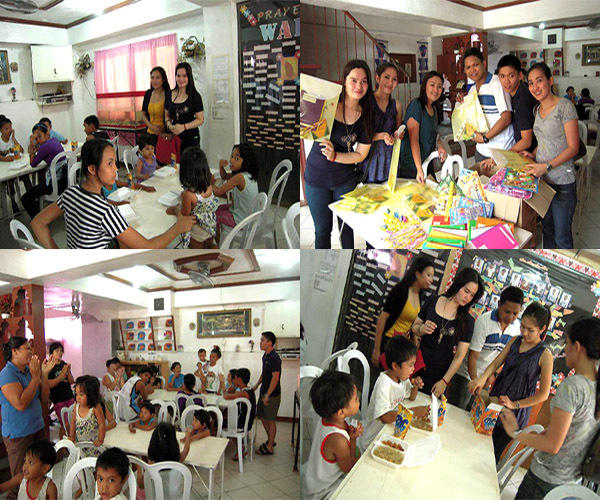 We also gave them some toys, medicines and prepared some snack for them. They were all accommodating and we receive a warm welcome from them. Picture with the administrator, Mrs. Occeno. 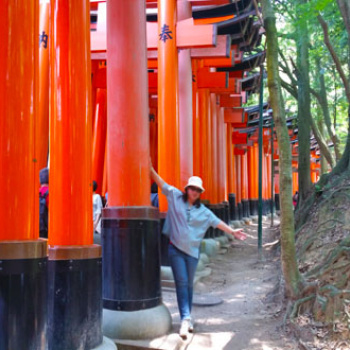 This is a guest post by my niece Kristine Angela A. One day, she texted me and asked for some help. And how could we say no to a good cause. I'm happy she started on her own initiative to help. I told her to write also an article about their visit because I also want to promote those "unknown" charities through my blog. There are really tons of people less fortunate than us and they deserve a helping hand. Let's help not just to feel good or just to show-off. Let's help with pure intentions, with no ulterior motives. If you are interested, maybe you should start looking for those unknown or small charity organizations around your community that you feel are worthy. 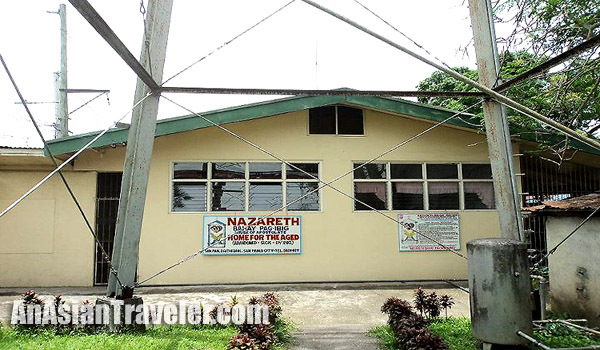 And I would very much appreciate if you would also share your kindness for these two charities mentioned here - Nazareth: Bahay Pag-ibig Home for the Aged and Open Door Christian Orphanage. Have a lovely Thursday!